Discussion in 'Mobile Games Hack' started by Administrator, Aug 25, 2016. The launching of Pokemon Go by Niantic for iOS and Android has definitely make the world gone crazy. Everyone wants to throw a Poke Ball at a wild Pokemon and catch it. They want candies and stardust to raise their Pokemon with more combat power. Without doubt it is now the most used smart device apps on earth. It is a free mobile game and available to download from the App Store as well as Play Store. iOS users who are having a jailbroken iPhone or iPad may have some problems playing this game because Pokemon Go blocks all the jailbroken devices. However, it doesn’t means there is no way to run this app because you can still bypass the jailbreak check using a few popular Cydia tweaks. In order to experience Pokemon Go at its best, this is a few Cydia apps you need. Masterball is the best Cydia tweak to bypass jailbreak check for all apps including Pokemon Go. This is by far the best one because it is free and it works flawlessly on both iPhone and iPad. To install Masterball, go to Cydia > Sources > Edit > Add. Enter the source http://cokepokes.github.io/ and tap Add Source when a popup appears. 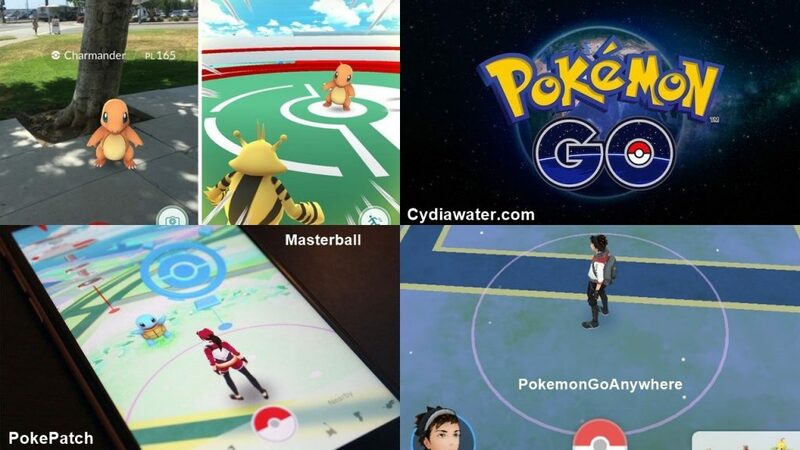 Search for Masterball once you have added CokePokes repo. PokePatch is a great alternative to Masterball. It is an app to hide your device’s jailbreak status from all the apps with jailbreak check. PokePatch allows you to play Pokemon Go on jailbroken iPhone and iPad without any problem. It is the ultimate choice for Cydia users. To install PokePatch, add thisCydia source ryleyangus.com/repo and you can search for the app from it. Just like Masterball and PokePatch. tsprotecter8 is another app to bypass the jailbreak check on all jailbroken iOS devices. It also works well on both iPhone and iPad and allowing you to play Pokemon Go. The only downside is it is a paid Cydia app and you will have to buy it. Poke Go++ is an app built for Cydia users who have just installed Pokemon Go. This app offers a feature to chat with other Pokemon Go players who are close to you. It has been tested on iOS 9, iOS 8 and iOS 7.1.2. Add beta.unlimapps.com repo and you can install Poke Go++ for free. Check your internet connection if you see “POSIX operation timed out” error message. Pokemon Lock is a brand-new Cydia tweak available in the Cydia App Store days after the launching of Pokemon Go. It is a simple app offering you to play Pokemon Go on your lockscreen with full extend. In other words, you don’t have to unlock your iOS device to play Pokemon Go with Pokemon Lock. Pokemon Lock is a free app and you can download it from http://repo.ziph0n.com/ repo. You will have to disable your Touch ID or passcode lock in order to make Pokemon Lock works. Pokemon Go uses the GPS feature and the camera of your iPhone or iPad to detect your location. However, there is a way to spoof your location with a powerful Cydia app known asPokemonGoAnywhere. With this app installed, you can hatch eggs or do anything you want without walking in Pokemon Go. PokemonGoAnywhere is a free app and you can install it fromhttp://williamlcobb.com/repo. Restart your iOS device if it doesn’t work after you install it. See How to Go Anywhere in Pokemon Go for detail guide. Pokemon Go is taking over the world although it’s not yet available in Asia or European countries. Unlike playing Pokemon game with emulator and roms, the Pokemon Go has given us a brand new experience with our iDevice. Last but not least, please share your thoughts if you know any other useful Cydia tweaks or hacks for Pokemon Go.